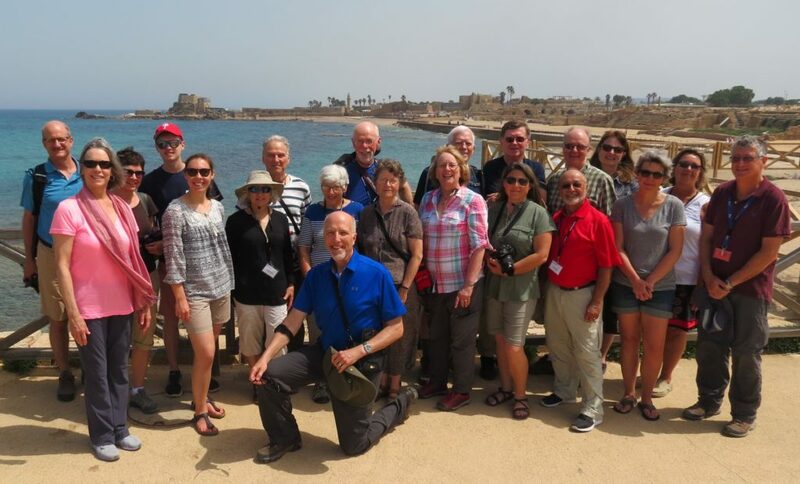 Peace Pilgrim group at Caeserea Maritima in front of the Mediterranean Sea. Despite have had hiking plans undone by the heat, Peace Pilgrims had a rich and enjoyable day. From Nazareth we drove 50 minutes to Caesarea Maritima, ruins of the Roman city where Cornelius heard the gospel from Peter (Acts 10). There we took the group photo above by the Mediterranean sea. Lunch was at a Druze restaurant on nearby Mount Carmel, and on the same mountain we visited the traditional site of Elijah’s confrontation with the prophets of Baal (1 Kings 18). Then we continued southeast along the Jezreel Valley (valley of Armageddon) to ruins of the ancient city of Megiddo–site of at least 34 major battles in history. 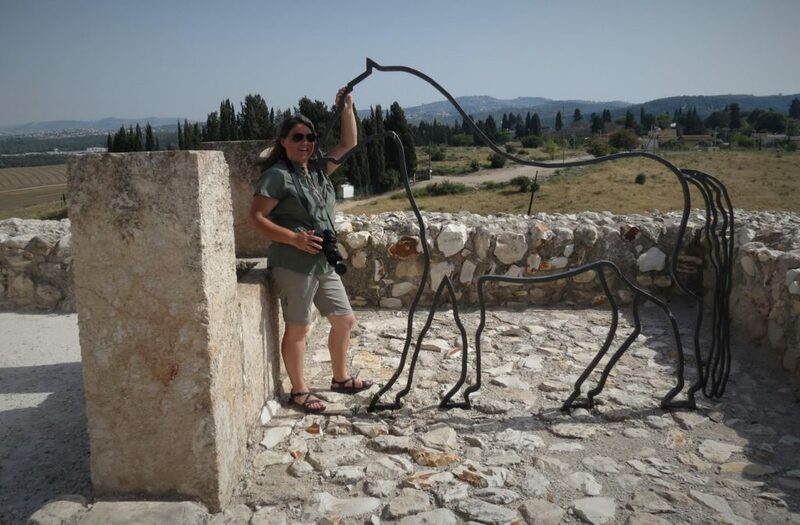 At stables built by King Solomon at Megiddo, Cindy Hovey stands with a “horse” at the biblical-era feeding trough. Tomorrow it’s back to hiking! We are shortening distance and time on the Jesus Trail for each day to make it manageable in the heat. Today temperatures were in the mid-90’s, but the air was moving and somewhat drier. That made a big difference, and tomorrow we expect to have slightly less heat.